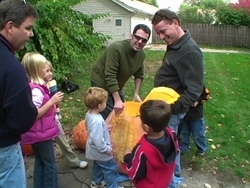 In October of 2003 I launched a website called ExtremePumpkins.com. It has been an instant hit. I guess I am not the only one who was tired of pumpkin carvings of kitty-cats, and friendly ghosts. 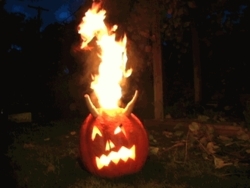 ExtremePumpkins had gory, disgusting, and highly volatile designs. I hope you will take a look. 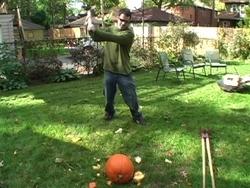 Here is a video I made to give you some pumpkin carving tips.